Ms. Phillips career has covered almost every area of the music business. 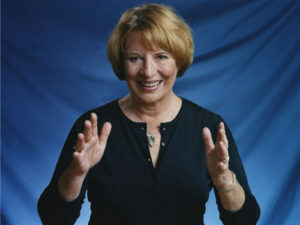 In addition to recording several solo albums, from the classic Born To Be Blue, to her most recent release, Ballet Time on which she sings with such old friends as Dave Brubeck and Marian McPartland, she has worked as a singer, choral arranger and conductor with many of the music world’s leading artists and is widely known in the industry as the writer/arranger/producer of many national commercials. 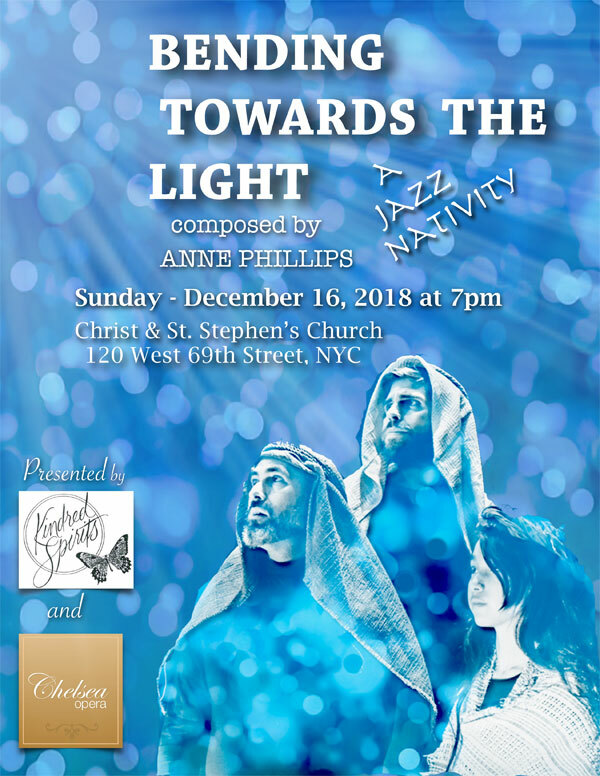 Ms. Phillips Christmas show, a jazz opera, Bending Towards the Light – A Jazz Nativity, tells the traditional story though jazz and has featured such greats as Lionel Hampton, Dave Brubeck and Tito Puente. It is performed in New York and other cities annually. 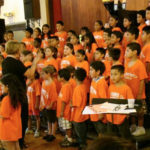 To introduce today’s children to the Great American Songbook, Anne and her husband, tenor saxophonist Bob Kindred, have begun Children’s Jazz Choirs through their not-for-profit organization, Kindred Spirits. 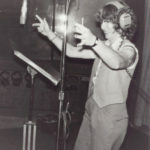 In keeping with her passion for keeping those songs alive she also leads SING! SING! SING! a Sing-in monthly at The Triad on 72nd Street in NYC. In the classical area this year, her ten minute opera Tempo Fuori del Tempo was presented at Weill Recital Hall as a part of an evening of Opera Shorts, and her Easter Cantata, Sing, For The Lord Has Risen was presented in concert by the Remarkable Theater Brigade at Jan Hus Church. Her song cycle An Alaskan Trilogy,  a setting of three poems by Alaskan poet, Phoebe Newman, was performed at the CUNY Grad Center in collaboration with the National Association of Teachers of Singing. 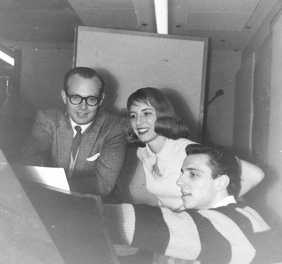 More of her songs were recorded by soprano Monica Harte on the classical label MSR Records. Other works include What Are We Doing To Our World?  a musical expression of concern for the environment, Damn Everything But The Circus,  a full musical, The Great Grey Ghost of Old Spook Lane,  a children’s musical. Ms. Phillips has been on the faculty of the Jazz Department at NYU, music Director for the 9AM service at St. Bartholomew’s Episcopal Church and was a National Trustee of NARAS, the Recording Academy. I think I came out of the womb singing and playing piano. 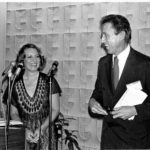 My father was a textiles salesman and my mother a housewife. Much to their wonderment, I could play almost anything I heard on the radio. “Wouldn’t it be wonderful if she turned out to be somebody who could play by ear. She’d have so much fun at parties!” said my mother. I wasn’t from a NY show biz family. I was from suburban Wyomissing, Pennsylvania. I didn’t really hear any jazz until I was a senior in high school when by a serendipitous meeting I was asked to join a very hip vocal group of grown-up jazz musicians. I knew where I belonged! When I was 19, I came to New York. Because I played piano and sang and almost every restaurant and bar had a piano in it, I worked six nights a week … six hours a night 9-3 or 10-4! New York nightlife was very much alive. I played some great gigs: (opposite Bobby Short at the Beverly Hotel, Number One Fifth Avenue,) and a good many dives. But it was a great time to arrive in New York. The music business was very much alive, too. 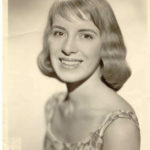 There were TV shows, record dates, concerts, jingles, demos for the emerging pop songwriters Carole King, Burt Bacharach, Neil Diamond, work for singers! 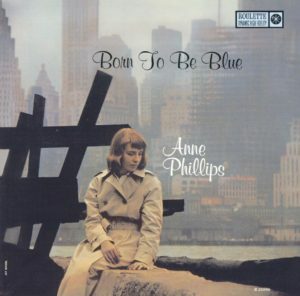 It was one of those demos (for an older more traditional writer) that led to a call from Joe Reisman at Roulette Records and the now classic album “Born To Be Blue.” It sells steadily on CDBaby and is on Music Choice. 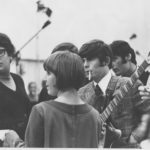 It was that experience that also led me into the world of advertising when ad agencies began to realize there was a “youth market” that was becoming important. My first spot was for Revlon Natural Wonder and my second, Pepsi Cola. 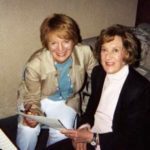 I first did arrangements of Sid Ramon’s famous “Come Alive” with studio singers and then the pop groups of the day, The Hondells, The Four tops, Martha and the Vandellas, Lou Christi. Then I wrote the song for the next Pepsi campaign “Taste that Beats the others Cold” and arranged again for the Tops and the Vandellas and many more: Wilson Pickett, Linda Ronstadt, John Hartford, The Union Gap, The Turtles … Another you probably remember and can still sing is the Sheraton telephone number, 800-325-3535. All these record dates and jingles were recorded live with the full orchestra, artist and back-up singers in the same room. What camaraderie and joy! And that energy got into the grooves! In 1986 The Rev. John Gensel, the ‘jazz minister’ at St. Peter’s Lutheran Church at Citicorp asked me to write “The Jazz Nativity,” the Christmas story told through the medium of jazz. “Bending Towards the Light … A Jazz Nativity” has become a “new New York tradition” NY Magazine and has featured almost every jazz great: Lionel Hampton, Tito Puente, Dave Brubeck, Clark Terry, Jon Hendricks, tappers Jimmy Slyde, Harold Nicolas … the list is endless. Charles Kuralt was our first host and Dr. Billy Taylor after him. Every season it is produced in other cities as well as New York. Composing and arranging became more of my musical life. Just two years after “Born To Be Blue,” I wrote a Christmas album for 25 singers a cappella, “Noel Noel.” The arrangements were unusual but the best studio singers in New York recorded it without rehearsal. It got great reviews. “Her handling is completely unorthodox but of the highest artistic order.” That is also available on CD now. 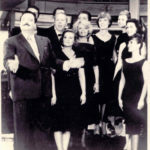 Another work was “A Spark of Faith,” a group of twelve songs connected by New Testament scripture which was performed and recorded with, again, the best studio singers and musicians. Lead dancers in the performances, from the Alvin Ailey Company, were Loretta Abbott and Al Perryman and Scott Muni was narrator. The show went on the road to colleges and churches with a smaller company. 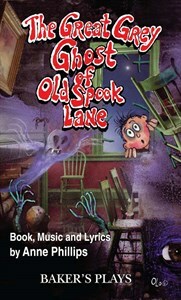 “The Great Grey Ghost of Old Spook Lane,” a children’s musical which I wrote when my three children were still in grade school, has been performed many times and is now published by Samuel French. “Sing For the Lord Has Risen” an Easter Mass was premiered at St. Patrick’s Cathedral with John Goodwin conducting. And I conducted the North Carolina Symphony myself in a pops concert for which I wrote the orchestral arrangements for soprano Nanci Collyer and saxophonist Bob Kindred. An environmental piece, “What Are We Doing To Our World?” has had performances at The Players Club in New York and at an environmental conference in Denver. 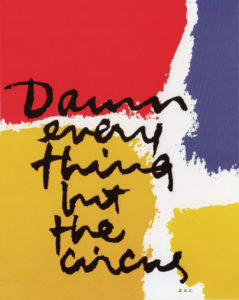 A full musical, “Damn Everything But The Circus” for which I wrote both music and lyrics with book writer Stephanie Braxton, has had several readings and is close to production. In recent years I have happily been welcomed into the classical community. 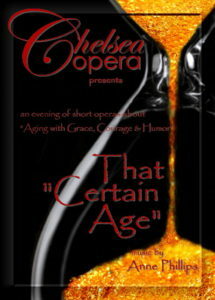 My short operas have been performed at Weill Hall at Carnegie as a part of a program called “Opera Shorts,” I received a grant from Opera America for an evening of short operas entitled That ‘Certain Age’ (about aging with grace and humor.) My songs have been recorded by soprano Monica Harte for MSR Records, and have been performed on concerts throughout the country and on concerts produced by Chelsea Opera. In 2015 Leonarda Priore, co-founder of Chelsea Opera, suggested that they co-produce The Jazz Nativity with my not-for-profit, Kindred Spirits since the Jazz Nativity is truly a “jazz opera.” That “Certain Age” is now also on their schedule for the 2017 season. In the area of education and directing choirs, I was on the faculty on the Jazz Department at NYU and acted as Director of Music for the 9AM service at St. Bartholomew’s Church on Park Ave. And I direct Children’s Jazz Choirs through which I teach inner-city kids songs from the Great American Songbook. I travel to Ketchikan, Alaska each January for what has become a two week event, “JazzCab,” where I work with townspeople, singing and coaching for the final concerts which also include great NY jazz musicians. This developed out of several years teaching at the Fairbanks Arts Festival. 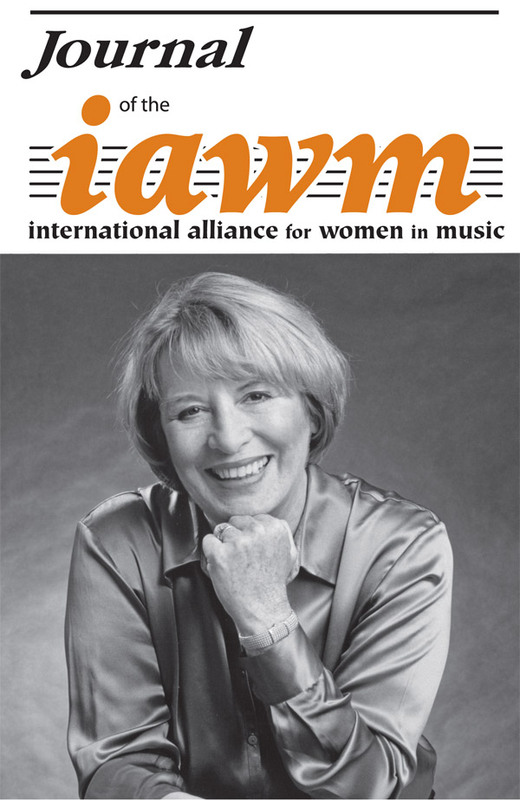 My setting of poems by Alaskan poet Phoebe Newman, “An Alaskan Trilogy” has been performed through submissions listed though the New York Women Composers organization. The next local performance will be at Opera America in October. And I continue to teach privately. 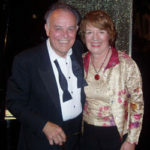 I have produced many CDs and concerts including those at Jazz at Gretna, the Pennsylvania Chatauqua where I brought in such jazz greats and Gerry Mulligan, George Shearing, Marian McPartland and Dave Brubeck. And of course, I have produced the Jazz Nativity. I’ve had some wonderful evenings at the Jazz Bakery in LA with Roger Kellaway and at the Triad and Danny’s Hideaway in NY with Julie LaRosa.